This appraisal season, 67 percent of women employees plan to ask for a pay hike as compared to 64 percent of men, as per Indeed's Survey. Indeed's latest survey gauged the expectations of wage growth of employees across sectors in India and the findings reveal that about 93 percent of the respondents possibly or definitely plan to ask for a pay rise in the appraisal cycle for 2018. This indicates that most employees are not satisfied with their current level of remuneration. In fact, 64 percent of respondents believe that Indian salaries are generally lower than the average when compared to remuneration in other countries. 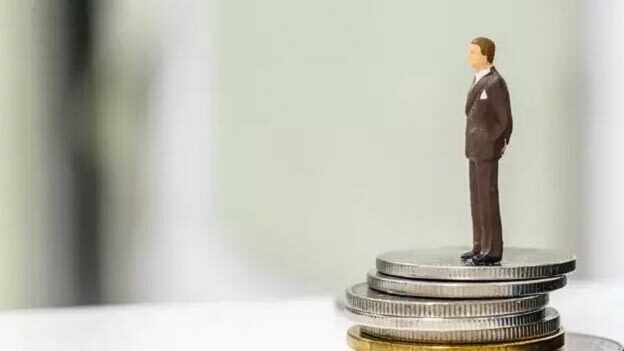 Interestingly, more women employees than men employees are dissatisfied with the pay, as the survey highlights that 67 percent of women employees plan to ask for a pay hike this appraisal cycle, as compared to 64 percent of men. Although a majority of the respondents showed dissatisfaction with their current pay but out of the respondents who do not plan to ask for a pay rise, 43 percent claimed that their present salary was satisfactory. 50 percent of respondents planning to ask for a pay rise cited their good work as a reason they should be rewarded, while a significant fraction of respondents stated that the rising cost of living, the extra responsibilities and extra hours of work put in by them should be compensated. More than half of the respondents stated that they had asked for a hike in the previous year. And one-third of them said they had done so more than once during the same period of time but only to be refused. While the lack of budgets was the primary reason given for the refusal, close to a third of respondents were also told that their quality of work was not up to the mark. Further, while assessing the demand for the alternative benefits it was found that over 50 percent of employees are willing to accept alternative benefits such as flexible work hours, parental leave in place of the pay hike. More than 60 percent respondents stated flexible work hours as an alternative to a pay hike, while 47 percent suggested an increase in annual leave. About 40 percent also cited paid parental leave as a benefit they would prefer and 63% respondents would prefer healthcare benefits instead of a pay rise. Employees across sector and gender wish to be rewarded for their performance and also require to cope up with the rising cost of living. Considering this organization should take care of the growing financial needs of the staff, otherwise, they could lose their employees. 80 percent of respondents agreed that they would consider changing their job in order to secure a pay rise and a majority of them are in the 25-34 age group. To save themselves from bearing the cost of attrition companies and HR must be more proactive and probably explore the options of alternative benefits if the pay budgets are low.